Welcome to Gila Vista Jr. High School, where “we just can’t hide that Gila Monster Pride!” You will find us in Yuma, Arizona, in the southwest corner of the state. We have a remarkable staff that is committed to promoting academic excellence. We promote a cooperative effort among students, teachers, and families as we provide rigorous instruction to help all students achieve success. Our school has approximately 530 students in 6th through 8th grades. 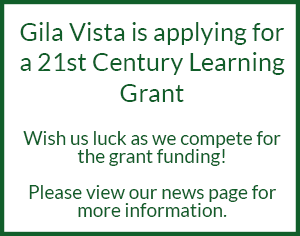 We expect Gila Vista students to use technology every day in the classroom. We have 350 student computers with wireless Internet access. We use these computers for individual student research, projects, and to promote individualized instruction. We utilize Promethean and Interwrite Interactive boards to help engage students in the lessons more effectively. We recognize that interacting with technology will be critical as our students prepare themselves for the future. 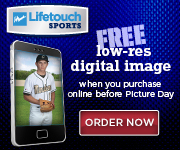 Please take some time to orient yourself with our website. We attempt to keep you informed with everything we think you will find useful. You can learn more about our staff and administration, or keep up-to-date with our calendar and news items. When you have a question or two, be sure to check our frequently asked questions. We value our communication with you, so do not hesitate to contact us or stop by the campus for a visit. Welcome to the home of the Gila Monsters! Our well-trained and committed teachers are ready to provide exciting learning opportunities for your adolescents as they master the Arizona College and Career Ready Standards. We believe that every day should present challenges to push students to be successful as they prepare to become life-long learners. We ask that our students come to school “ready to learn” and that they “strive to learn everything” that is taught to them. We take our responsibility in leading your sons and daughters to become thinkers and problem solvers very seriously. Thank you for entrusting us to perform this critical task. You are welcome to visit our campus and classrooms to witness the “magic of learning” take place. Open gym is on Tuesday nights for the Gila Vista community from 6:30 to 8:30 p.m.